The government is facing a backlash for further delaying the publication of its biometric strategy containing guidelines for police concerning lawful use of the scanning technology. Norman Lamb MP, chair of the science and technology committee, told Sky News it is “intolerable” that police forces are still adopting the system despite widespread warnings that it may be illegal. The technology has also failed to be appropriately scrutinized in parliament. In August, it was revealed that police have catalogued more than 20 million facial images – the equivalent of about one third of Britain’s population. Many scans are of people who have never committed a crime, despite a High Court ruling in 2012 that said the practice is unlawful. However, the government is still allowing police to store the pictures. “Widespread use of facial recognition technology in public will have a profound impact on the freedom we take for granted when we go about our daily lives in public spaces. It turns us all into walking ID cards,” Harmit Kambo, campaign director at Privacy International, told RT in August. 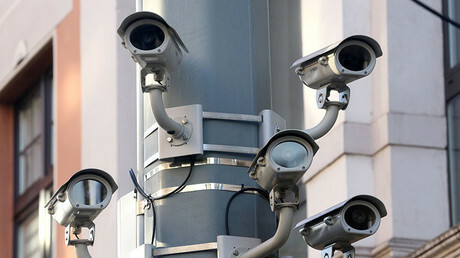 Although CCTV surveillance has been in use for several years, the new scanning technology brings monitoring to a “whole new level,” and risks giving the police unprecedented powers, Kambo warned.